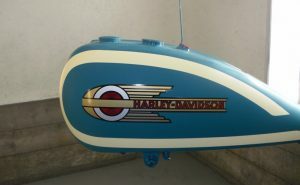 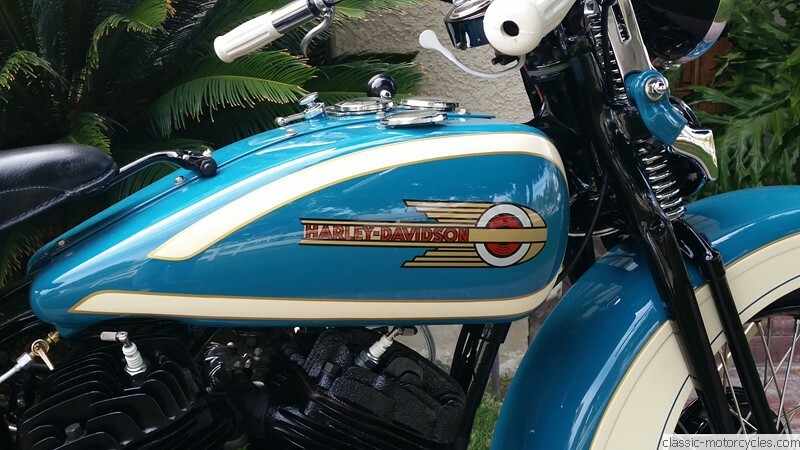 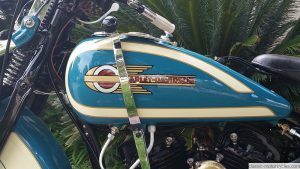 This Harley Davidson belongs to artist, Scott Jacobs and his wife, Sharon. 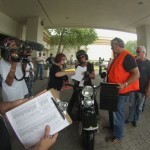 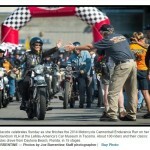 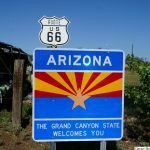 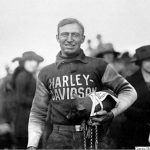 We accompanied the two on their race across the US on two vintage Harleys in the 2014 Cannonball Run from Daytona to Tacoma. 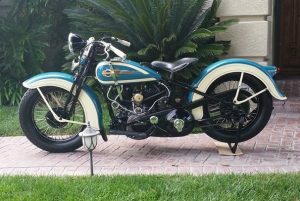 Scott rode a 1926 Harley Davidson JD and Sharon rode the sister bike to this restored VLH, also a 1936 model. 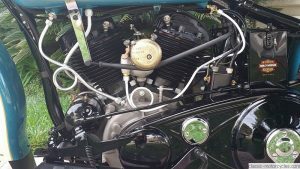 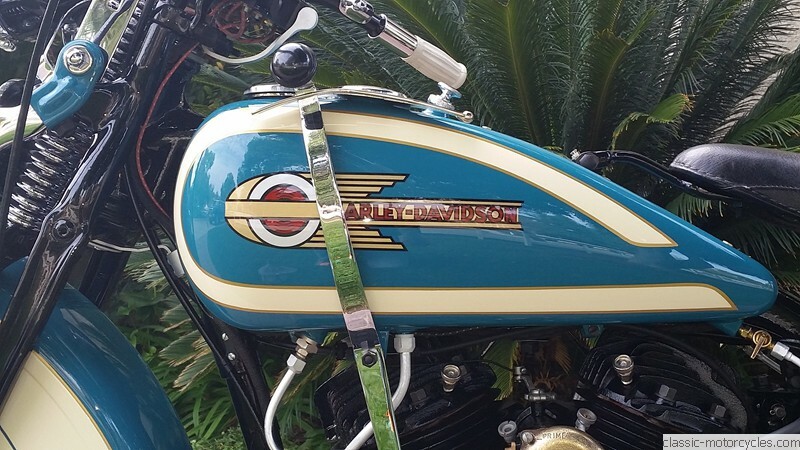 The Harley Davidson pictured below (before restoration) provided a set of pistons to Sharon’s Cannonball bike, which enabled her to complete the race. 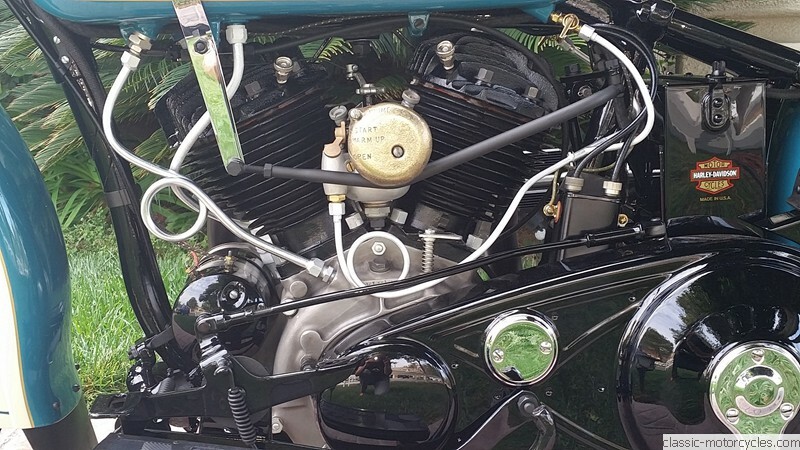 Those pistons have now been replaced as part of the restoration process. 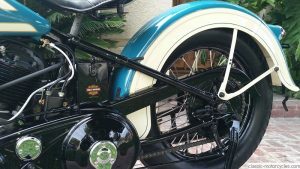 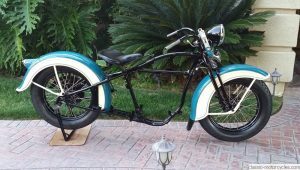 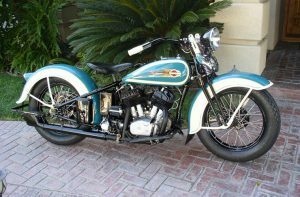 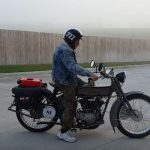 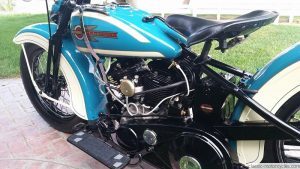 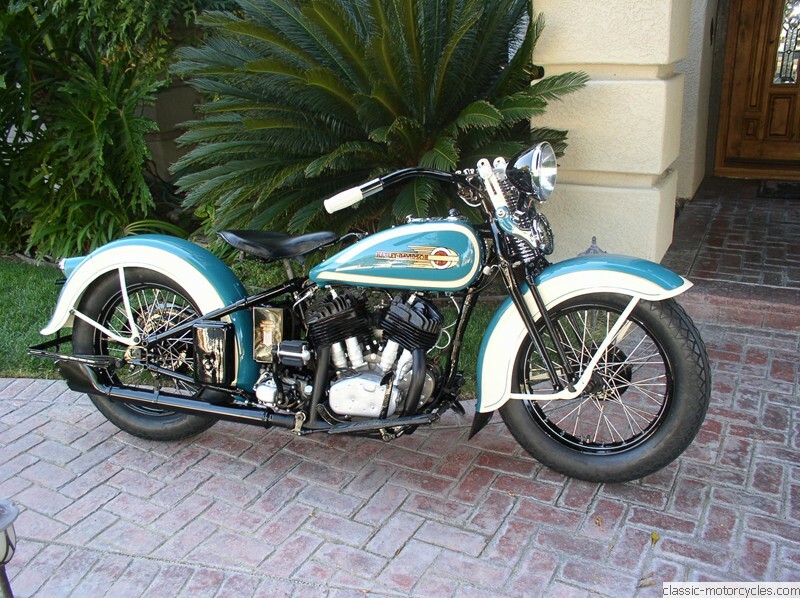 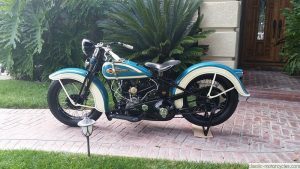 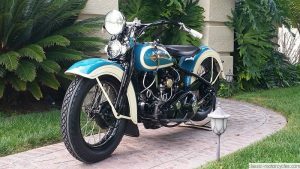 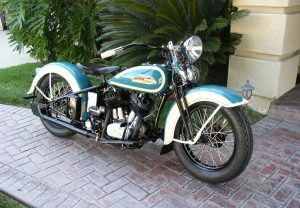 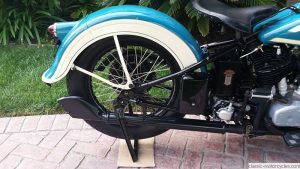 The 1936 Harley Davidson VLH went through a ground up restoration by Ziggy of Classic Motorcyles in January / February of 2015. 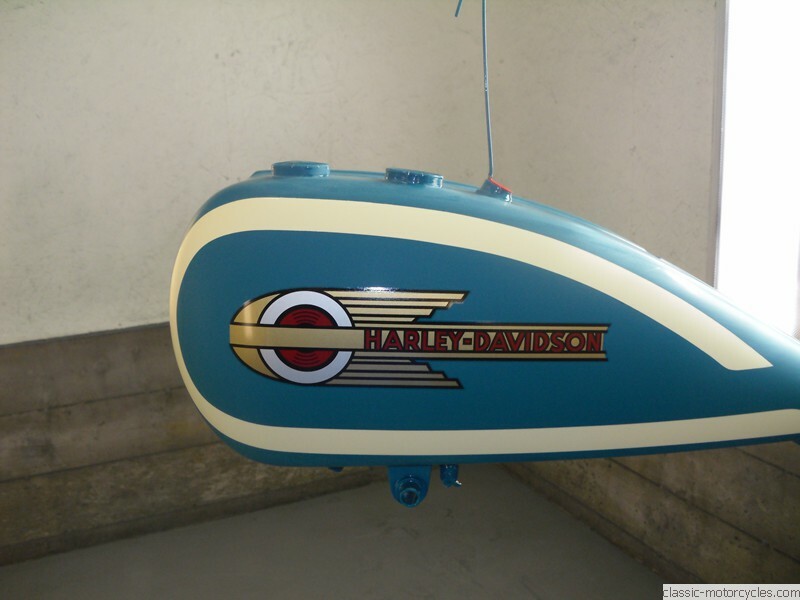 The beautiful paint was done by Robert Prayther. Pin striping by Robert Gagnon. 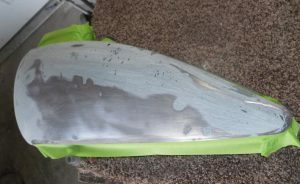 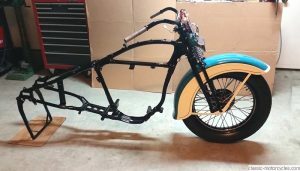 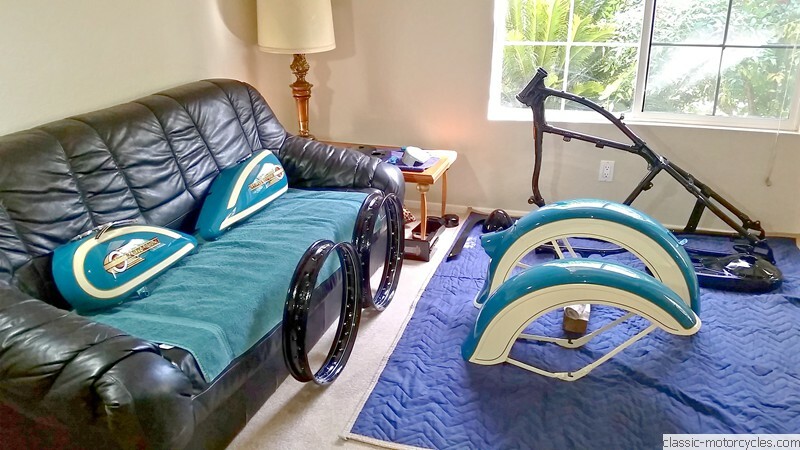 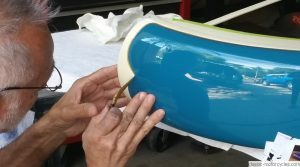 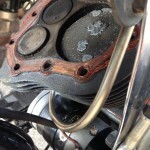 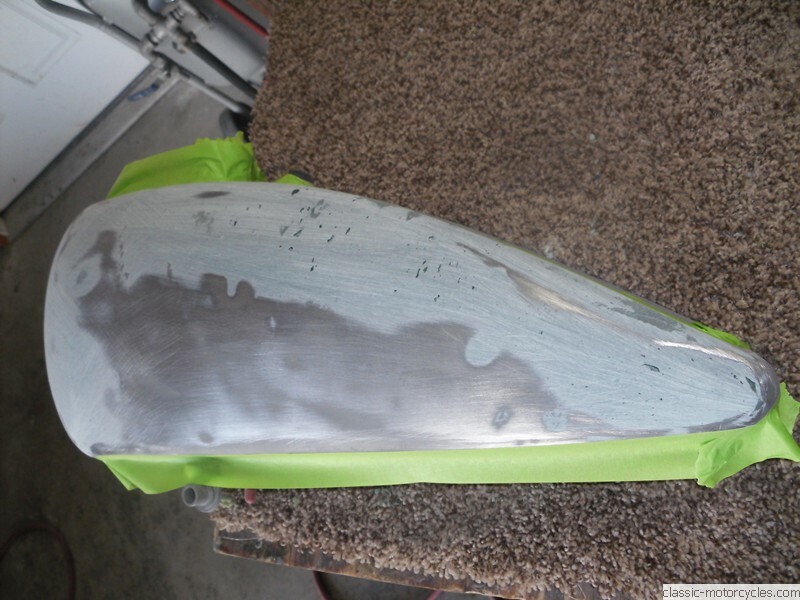 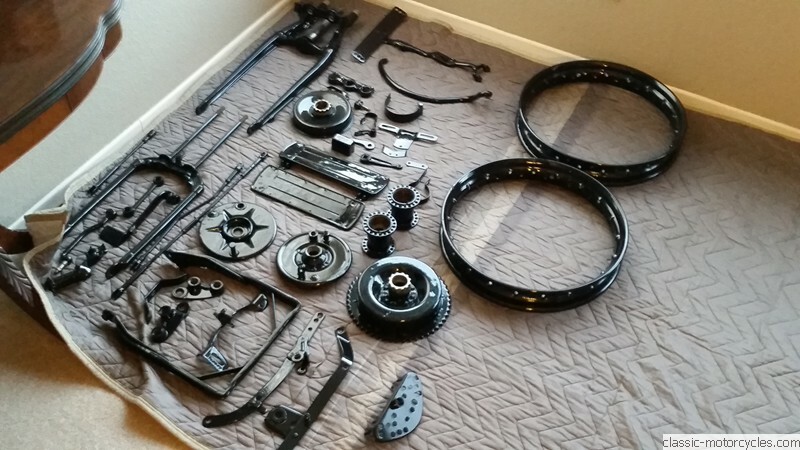 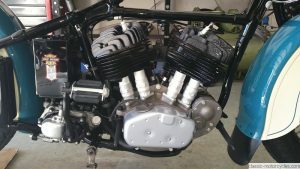 Below are several photos of the breakdown process, paint, pin striping and reassembly of the motorcycle. 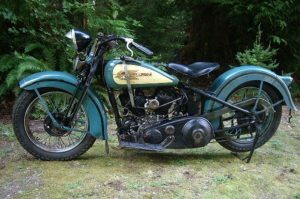 The final result is a gorgeous vintage Harley Davidson motorcycle, soon to be seen at Scott Jacobs new gallery and museum in Deadwood, South Dakota. 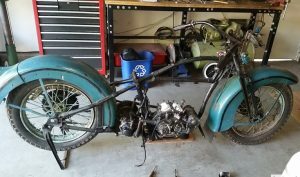 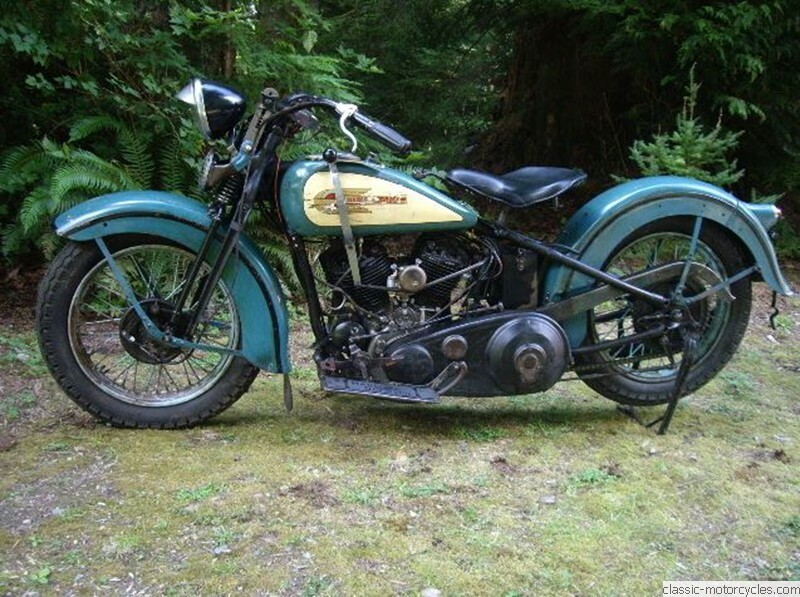 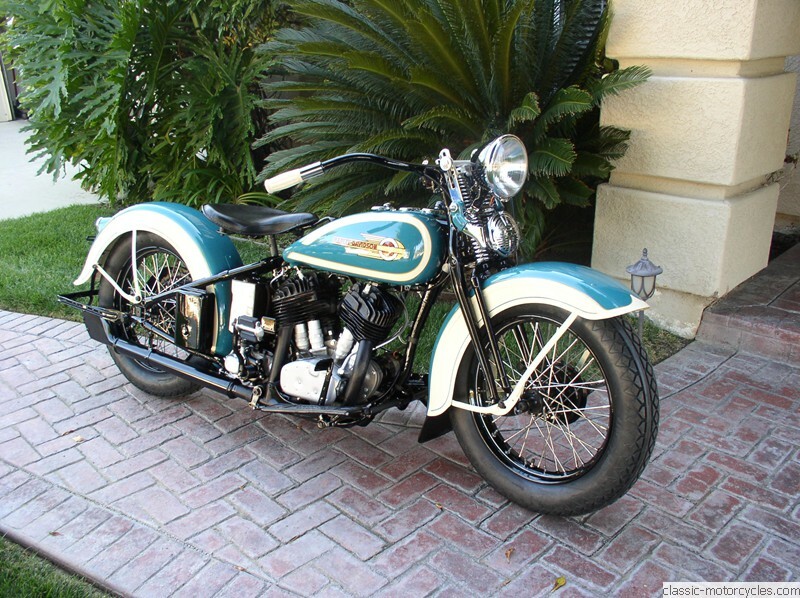 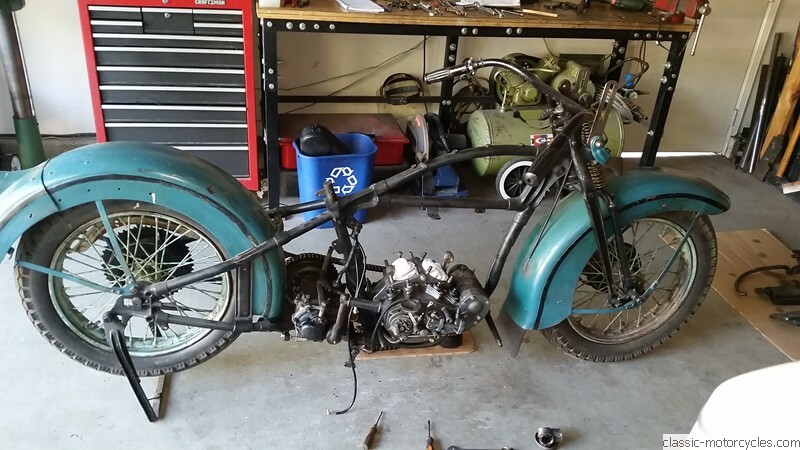 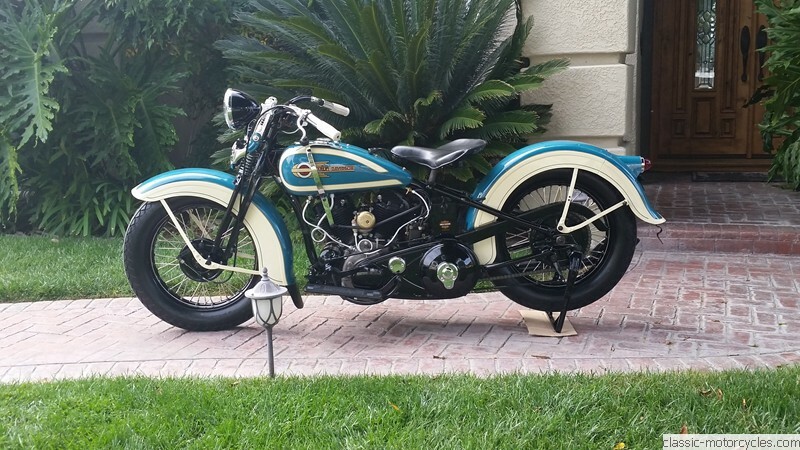 After two months of work, this 1936 Harley Davidson VLH was ready to ride. Scott and Sharon Jacobs have another amazing motorcycle to add to their collection.